This is the card I have been using for my party Make & Takes this month. I also used it at my Team Training this week. 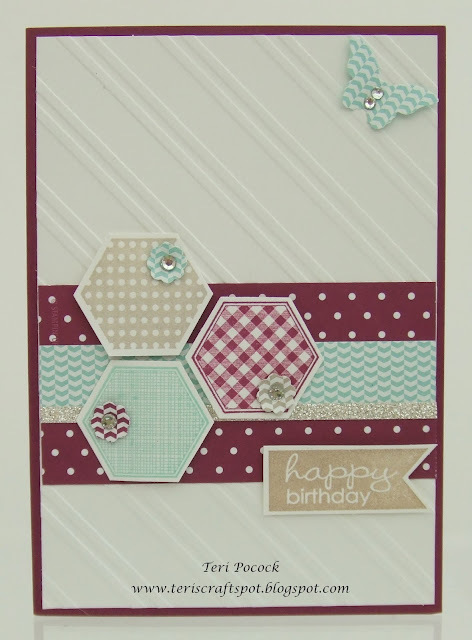 It is very heavily CASE'd from a card made by the awesomely talented Julie Kettlewell.